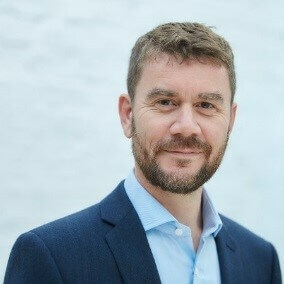 Astor-Bannerman are delighted to announce the appointment of Mark Colebrook to the position of Managing Director of Astor-Bannerman’s UK Operations. Mark brings to Astor-Bannerman over 25 years’ global experience in Engineering and Manufacturing businesses, and previous CEO, Managing Director, and Board Director roles. He has a proven track record in rapid growth of start-up businesses and the development and restructuring of mature businesses in both multi-national corporate and SME private company environments. James Stuart-Smith, CEO of the Astor-Bannerman Group, will remain actively involved in the company but will hand over every-day control of all aspects of the UK business to Mark. Mark joins Astor-Bannerman at an exciting time of growth for the company, also celebrating its 25th Anniversary. With the addition of new products within the traditional Astor-Bannerman business, a re-branding of the Care Home side of the business to Astor-Bannerman Care, plus all the latest Government announcements supporting the Changing Places Campaign of which Astor-Bannerman are co-sponsors through the Aveso partnership, 2019 is set to be a very dynamic year. Astor-Bannerman will not lose sight of its origins though, and is keen to retain the caring and compassionate associations people have with it; the friendly business where people are prepared to go the extra mile to ensure that issues are understood, solutions are found and people are left happy. Astor-Bannerman Care – Bath Colour Options! Astor-Bannerman (Medical) Ltd shared a post.